Join Huckle Cat, Lowly Worm and all your favourite loveable haracters as they - and you - enjoy the best Christmas ever! 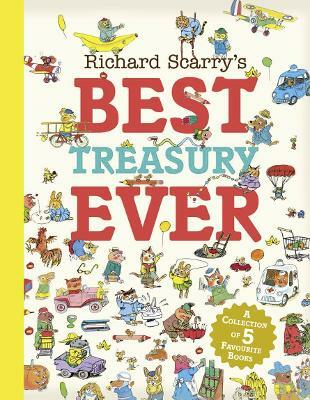 A classic title from the bestselling and beloved Richard Scarry - the perfect Christmas gift for all ages. Busytown is getting ready for Christmas. Join Huckle Cat and Lowly Worm as they celebrate. Including festive stories, games and Christmas songs, this book is a true celebration of the Christmas spirit - and will give every reader a warm festive glow! 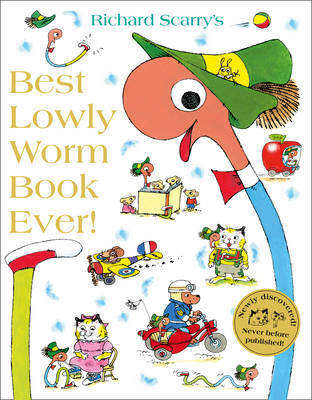 Written and illustrated by the beloved and unique Richard Scarry, whose classic characters are loved and recognised the world over, this beautiful book is the perfect gift for children of any age and those who want to revel in the magic of their childhood! Born in Boston in 1919, Richard Scarry's drawing talent led him to study at the Boston Museum School. He began his career as an illustrator and freelance artist, and in 1963 he published his first book, The Best Word Book Ever, which became an international best-seller.